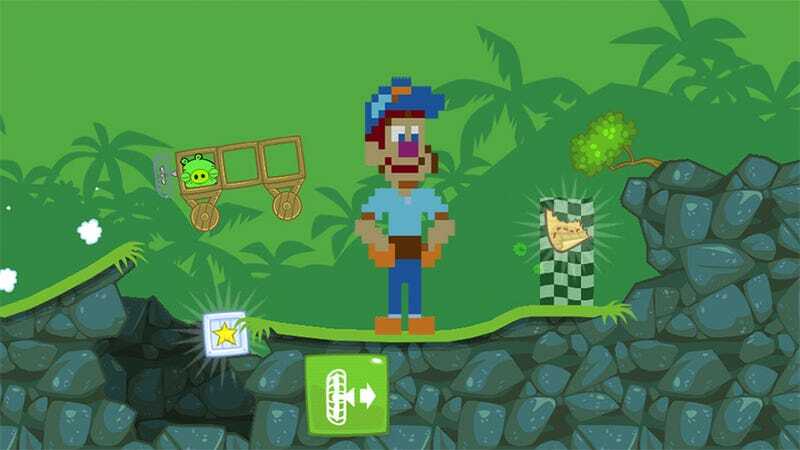 This Week's iPhone Charts: Can Felix Fix the Bad Piggies? Last Tuesday we brought back our weekly iPhone charts, listing the best paid and free games available for the long phone and its ancestors. This week we get to see how those charting games like to move it, move it. Only one week out and already I'm beginning to see some trends forming. For instance, the paid iPhone apps charts shift and change a lot less that the free ones, likely due to the fact that picking up a free game is a more whimsical affair than putting down your hard-earned money. I also suspect that we'll be seeing a lot of the previous week's iPad charts showing up in the iPhone section, which is more a function of the Tuesday/Thursday timing than anything else. Let's take a look at the winners, losers and debuters. I've got a feeling Bad Piggies is going to be sitting at the top of these charts for quite awhile. Might want to pack a lunch. The finger-tapping skateboarding game that made a splash on the iPad charts last week makes the transition to the iPhone charts. Welcome, skater dude. Sonic the Hedgehog's new-ish iPhone game makes its charting debut, casting the speedy hedgehog as some sort of jumping expert, because what the hell. Minecraft has dug into this number four spot and refuses to budge. Send in the Creepers! Another game that refuses to give ground for anyone, or perhaps the other games are just keeping their distance. And it slowly dawns on the iPhone-wielding horror fans — this isn't a very good game. The forward momentum for Tetris is likely due to the major motion picture I've been making up in my head for years. I could be wrong here. Where Tetris goes, Fruit Ninja is never far behind. They are bound by honor. Bound by duty. Bound by staples. Just a short little push and I never have to look at this game's screenshots again. We can do it. Sad that there were only two new games on the paid iPhone charts? Buck up, my little ponies, the free charts are here with seven new entries that I had to build from scratch because people who aren't paying for things are fickle. Wreck-It Ralph hysteria continues to grow, and so does the rank of its free iPhone tie-in. Direct from last week's iPad charts comes the monster hunting sensation that's sweeping the iOS nation. Still avoiding it like the plague. Primary color puzzles are certainly moving up in the world. Another refugee from the iPad charts, this is a game that's almost entirely unlike playing The Price is Right. Perhaps this whole free biking thing deserves a little more looking into after this week's substantial leap ahead. This is a game about a naked man running down the street. People love naked men, it seems. Guess that means I have to get naked. The fun thing about the free chart is that it's often populated by premium apps that briefly go free for a special promotion. This is why you should read this every week. People just really enjoy their Halloween-themed social mobile games. Caught my wife playing the restaurant version of this last night. I almost cried. Somehow I completely missed the release of a collectible card game for iOS based in the Marvel universe. I'm fired. Another one of those temporarily free specials, and one you should definitely pick up. This is one of my guilty pleasure games. And that's it for this week! Tune in next Tuesday for another pair of charts filled with intrigue, heroes, pigs and naked men.